As we near the end of our excursion through the domain of the Wild Ones, we discover a grove of Korean dogwood trees. Spotting glimmers of light dancing through the branches, monstrous faces occasionally emerge from between the leaves to taunt us. 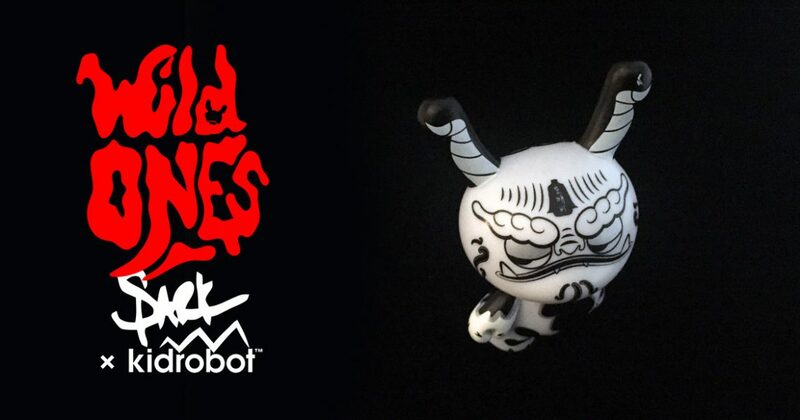 Known as Korean goblins, or dokkaebi, these creatures of legend and folklore were manifested in Kidrobot‘s first factory-made Dunny series of 2018 by Sharon Park. So who is Sharon Park? A first-generation Korean-American, born in Dallas and raised in Denver, Sharon Park tried to be the dutiful daughter by following the career choice her parents wanted for her. But the path of studies leading to becoming a pharmacist left Park frustrated, aimlessly going in and out of school as she came to terms with this. Discovering product design through a Google search, Park felt her passion ignited and decided to pursue a degree that she wanted. Finding an affinity for shop tools and heavy machinery during her studies at Metropolitan State University of Denver, Park’s focus on industrial design allowed her to explore projects that allowed her to reawaken a childish sense of joy within herself. Thus it wasn’t surprising that, after graduating in December of 2012, Park chose to undertake an internship at the Children’s Museum of Denver where she could construct playful exhibits. Carrying this light-hearted spirit with her, Park was hired as a designer for Kidrobot in mid-2015, tasked with carrying the torch of Heidi Kenney‘s Yummy World collection among other things. But around 2016, she began revealing personal designs inspired by her heritage, adorable interpretations of the Korean goblin-like creatures known as dokkaebi. Continuing Park’s fascination with the mythological dokkaebi, her contribution to the Wild Ones series is a beautifully minimal depiction of her vision of these creatures. Adorned with shapes reminiscent of traditional Korean folk painting, or Minhwa, Park’s aesthetic shines throughout, imbuing the mischievous beast with an adorable appearance. And her choice to shift the standard Dunny‘s body around, making the front into the backside and vice versa, gives a delightfully ‘off’ feeling to the work through its stance as well as an upward tilt to its mischievous head. Finished with a pearlescent sheen that shimmers in the light, the Korean word 도깨비 (or dokkaebi) can be found on this design’s forehead and foot. And while the word dokkaebi is frequently translated as “goblin”, the folklore behind them involves the spiritual possession of an inanimate object, allowing one to ponder if Park’s design is meant to represent a blank Dunny form that has been occupied by an otherworldly force. Continue on to Post 9 of 9 in the series “Wild Ones Dunny Series”.